Do you have a missing tooth that bothers you? If yes, then implants could be the perfect solution. Dental implants look and feel like real teeth, allowing you to smile and eat with confidence. The purpose of implants is to act as a base for artificial teeth, such as crowns, bridges or dentures. The implant itself is basically a small piece of titanium that goes into your jawbone. Implants bind very tightly to jawbone, which means they don’t come loose. This makes implants the perfect base for artificial teeth, which with the right care and attention they can last a very long time. 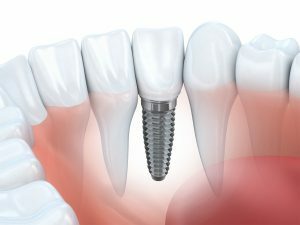 Dental implants act just like your normal teeth, with the implant forming an artificial tooth root. Your first appointment with the dentist will just be a consultation. 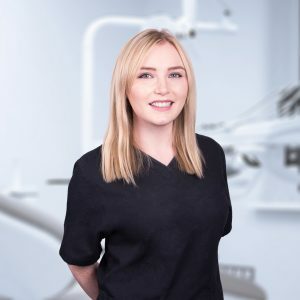 Bhav will discuss your situation, do a full indepth examination of your mouth, understand your needs, take Xrays as required and answer any questions. When it comes to the actual placement of the implant, Bhav will create a small hole in your jawbone, place the dental implant, and then close the tissue with stitches. After this, you will need to allow the site to heal for a few weeks. During this time, your jawbone will fuse with the implants (in a process called Osseointegration), forming an extremely tight bond similar to a natural tooth. Bhav will then finish the work by placing an artificial tooth (usually a dental crown, bridge or even denture) onto the implant. The newly restored tooth will look just like your normal teeth. Your new smile is now complete! Dr Bhav Nathwani is our expert dental implant dentist at Unique Smiles. 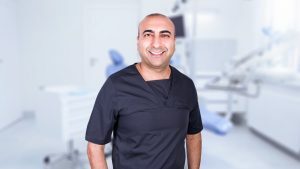 Has has undergone extensive postgraduate training in implantology and is highly respected in his field. We acknowledge that the idea of someone drilling into your jawbone sounds scary. However, you will receive a local anaesthetic so you won’t feel anything. Also the procedure is actually a lot easier than most people imagine. After the surgery, the anaesthetic will slowly wear off and you will probably experience some discomfort. This can be managed with painkillers (such as paracetamol). Most people usually experience minimal discomfort at most at our practice. Replace missing teeth. Implants are the best way to replace missing teeth. They are strong, attractive and comfortable. In fact, they’re so comfortable that you might sometimes forget they’re not real teeth! In contrast, dentures are often uncomfortable to wear. So, if it’s comfort you’re after, go for implants. Stop your jaw from deteriorating. Missing teeth make your smile look bad, but did you know that missing teeth are bad for your jawbone too? When a tooth is lost, the nearby jawbone tends to weaken and deteriorate over time. Implants can actually stimulate the jawbone and prevent it from deteriorating. Confidence. Wouldn’t it be great to smile, laugh out loud and /or choose anything on the menu with confidence? Well, we hope that we can help you with this. It all starts with a consultation and ending in a life changing result! Dental implants look, feel and function just like your normal teeth. The price of implants varies from patient to patient. This is due to many factors, such as the materials required and your particualr needs and starting point. This would be covered at the consultation allowing you to be fully aware of everything that you would need to know. What is clear is that implants are more expensive than dentures. This is partly because the implant materials themselves are expensive, and also that implants must be made to very precise sizes. However, because implants can last a very long time, they can be cheaper than dentures in the long run. Make an appointment with us and we’ll be happy to guide you through the whole process. 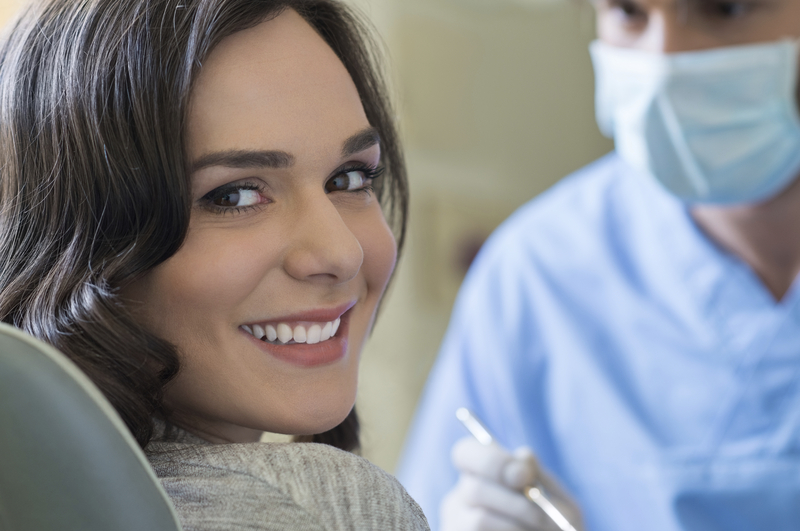 Because implants are a big step, it’s important that you choose the right dentist. 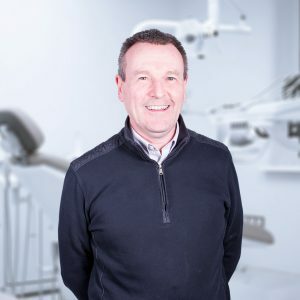 Here at Unique Smiles, we offer a professional and personalised service for all our patients. We guarantee that you won’t regret choosing us as your implant specialists. 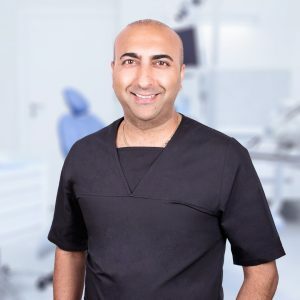 Book a dental implant consultation with our principal dentist Dr Bhavesh Nathwani by calling our team on 01789 400111.